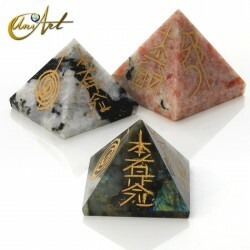 "Deseo felicitarles por todo el genero enviado y decirles que es muy bello..."
9 cm Narmada jasper pyramid. 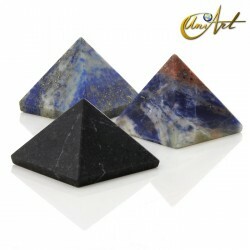 Beautiful Narmada jasper pyramid in brown tones. 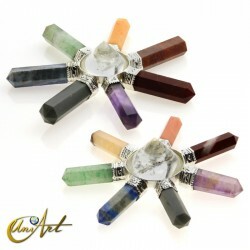 Its size is 9 cm in base and 6 cm in height. 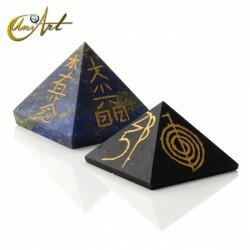 Its approximate weight is 500 grams. 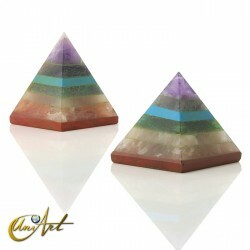 As it is made of natural stone, this pyramid is a unique piece. 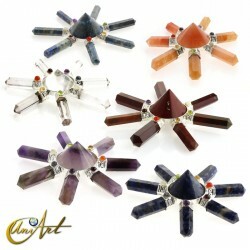 We have a great variety of natural stones with pyramid shape, handcrafted with the best crystals. 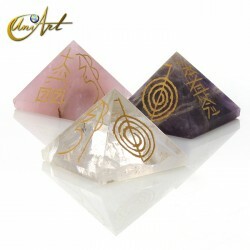 You can find these natural stones with smooth shape or reiki symbols on their sides, as well as with the stones of the chakras. 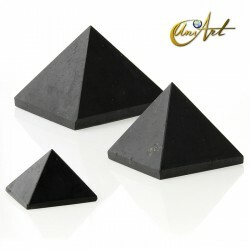 You can buy these pyramids in different sizes, which are listed on each product page. 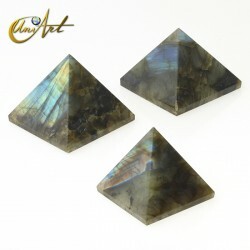 You can use the power of the crystal pyramids in different ways, being ideal for reiki grills, as well as to energize environments and objects. 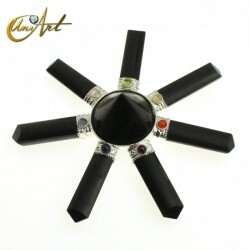 We have different prices for professionals.